Home » Blog » What is a Midwife? Because Midwives have been around so long, considerably longer than Nurses or Doctors, our name sounds a little Medieval. But if we were to change our name, we would lose our historical identity as one of the OLDEST and might I add, WISEST professions still in existence. 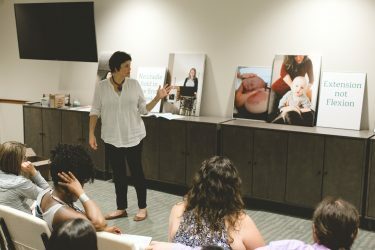 Midwifery is a household word in many parts of the world but in the minds of Americans, Midwives are either a thing of the past or a choice for granola-eating, homebirthing hippies. Despite Midwives’ relatively obscure existence in the United States, we have accumulated some pretty impressive statistics. A LOWER incidence of shoulder dystocia, in comparison to similar women, cared for by physicians. FEWER perineal injuries and fewer 3rd and 4th-degree lacerations. Be sure to Remember to Make the Flip-Side Observation. MORE hospital admissions during the antepartum period. A HIGHER incidence of hypertension during pregnancy and labor. MORE episodes of abnormal heart rate in labor. MORE need for pain medication in labor, including epidural analgesia. A HIGHER incidence of shoulder dystocia, in comparison to similar women, cared for by midwives. A HIGHER rate of instrumental deliveries (use of forceps or vacuum extractors). A HIGHER incidence of retained placenta and increased or equivalent postpartum hemorrhages. INCREASED perineal injuries and increased 3rd and 4th-degree lacerations. INCREASED cesareans and fewer vaginal births after cesarean section (VBACs). MORE likely to be born preterm or with a low birth weight. MORE likely to suffer from fetal distress (abnormal fetal heart tones) and birth trauma during labor and birth. MORE likely to require newborn resuscitation or special care in the neonatal intensive care unit (NICU). LESS likely to remain with their mothers throughout the hospital stay and be exclusively breastfed at two and four months (Source). Midwifery is commonly misunderstood. The Series of four papers and five Comments we publish today sets out to correct that misunderstanding. One important conclusion is that application of the evidence presented in this Series could avert more than 80% of maternal and newborn deaths,1 including stillbirths. Midwifery therefore has a pivotal, yet widely neglected, part to play in accelerating progress to end preventable mortality of women and children (Source). We need to keep talking about MIDWIVES! Shout it from your rooftop, Midwives are the BEST!